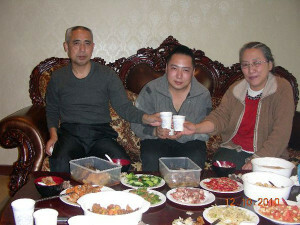 Hada (L) shares a meal with son Uiles (C) and wife Xinna (R) in a file photo. 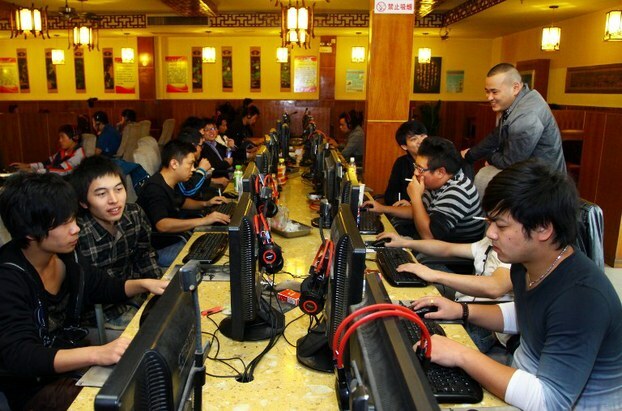 Netizens at an Internet cafe in China’s Zhejiang province, Nov. 2, 2012. 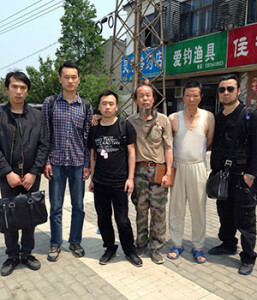 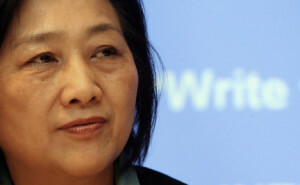 Activists gather to honor Lin Zhao in Suzhou, April 28, 2015. 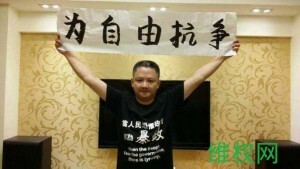 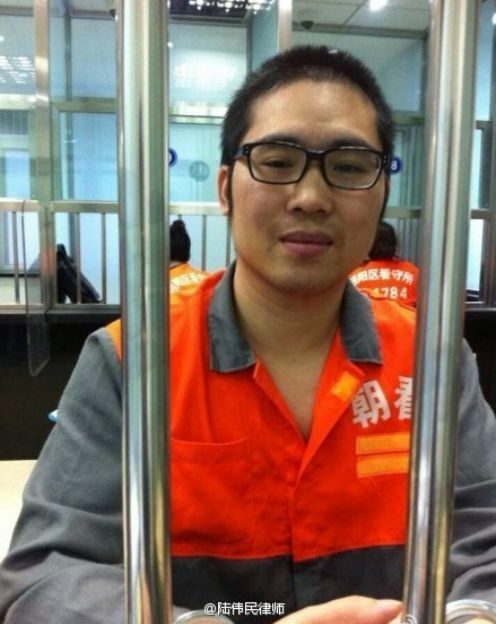 Ye Xiaozheng displays a banner saying ‘Protesting for Freedom’ in a photo posted to social media. 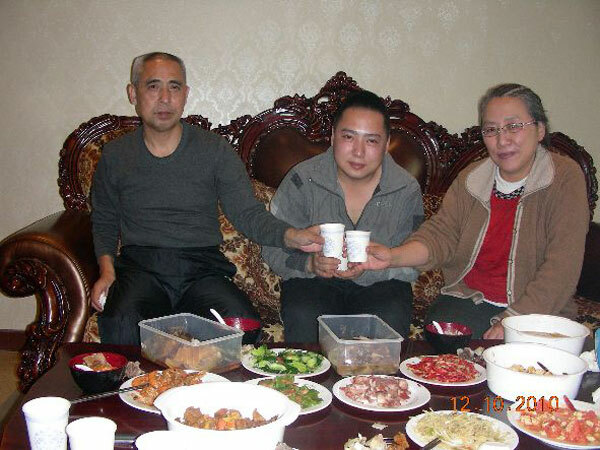 Xiong Yan (L) and Chai Ling (R) in a Tiananmen discussion hosted by RFA’s Mandarin service, June 4, 2010. 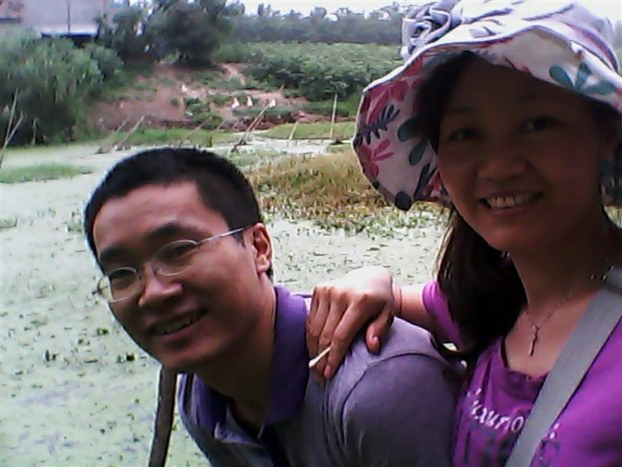 Tang Jingling, a top human rights lawyer in Guangzhou, and his wife Wang Yanfang in an undated photo.